South Africa again joins in the action to find the world’s best 3-on-3 basketball team in 2018. The South African final takes place on 28 July at one of the most historic courts in the country in the shadows of the city’s famed Ponte Tower. The team who takes top honours on the day head to the World Finals in Washington later this year. Arguably the most exciting 3-on-3 streetball tournament in the world, Red Bull Reign’s cumulative scoring system sees teams of three play against each other in rounds with the highest scoring team advancing to the next round. This system makes for a tournament that is packed with fast-paced offence. Sportive Director for the competition and former national player, KP Ndlovu, is excited to widen the search for the country’s best team this year: “Basketball is becoming more and more mainstream so it only makes sense that we expand on Red Bull Reign in 2018,” said Ndlovu of the qualifiers in Durban, Cape Town and Johannesburg ahead of the national final. Last year’s event was not only dotted with some the best basketball players, both past and present, but also some of the sickest sneaker game in the country. For decades both basketball and urban hip hop culture have been inextricably linked – so expect much of the same in the 2018 edition. 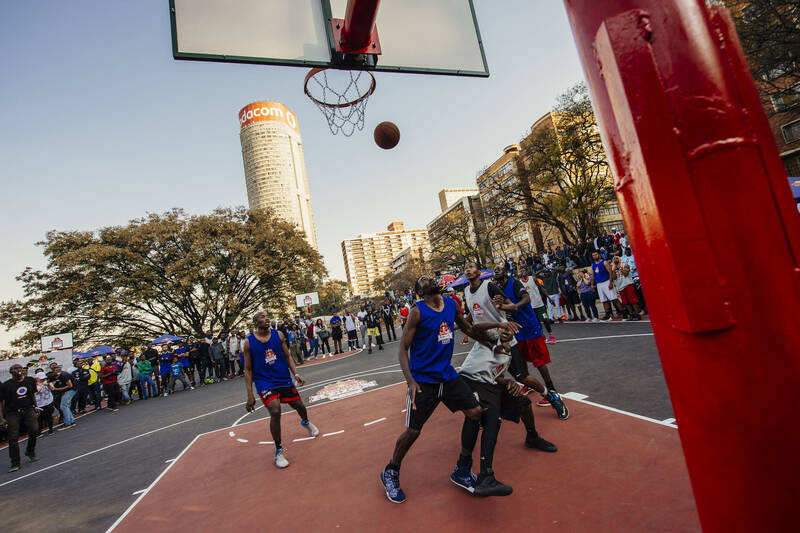 Games kick off at Ponte Tower Basketball Courts, from 10am. For more info on the event and to sign up please visit www.redbulllreign.com.